Russia's hybrid military forces attacked Ukrainian army positions in Donbas 41 times in the past 24 hours with two Ukrainian soldiers reported as wounded in action (WIA), according to the press service of the Anti-Terrorist Operation (ATO) Headquarters. In the Mariupol sector, the enemy fired 120mm mortars on the Ukrainian fortified positions near the village of Novotroyitske. "The defenders of the town of Maryinka came under fire from tanks, 82mm mortars, automatic grenade launchers and heavy machine guns. The militants shelled grenade launchers and small arms on the Ukrainian Marines near the villages of Vodiane and Hnutove, as well as anti-tank grenade launchers and heavy machine guns near the village of Lebedynske. The Ukrainian Marines' fortified positions near the village of Shyrokyne were attacked with small arms. Additionally, enemy snipers were active near Lebedynske and Maryinka," the report says. Read alsoEscalation in Donbas: 2 KIA's, 8 WIA's amid 47 enemy attacks in last dayIn the Donetsk sector, the Russian occupation forces fired 120mm and 82mm mortars on the Ukrainian positions near the village of Troyitske, and 82mm mortars near the village of Kamianka. 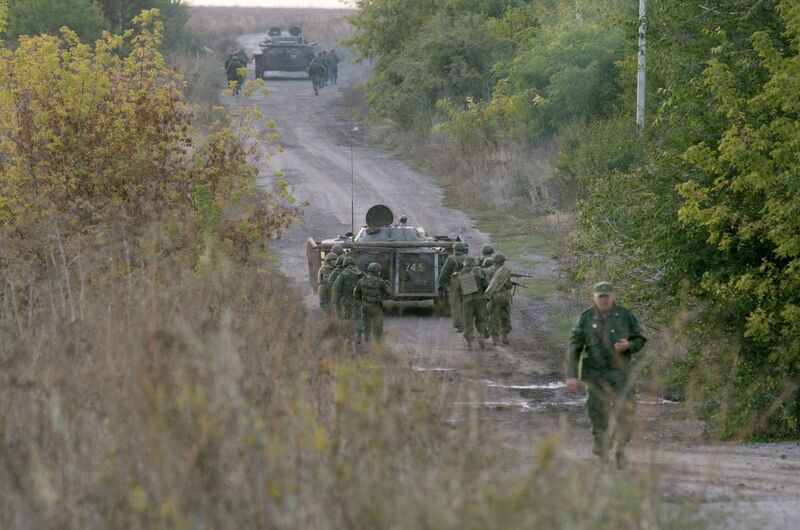 Furthermore, the enemy opened fire from infantry fighting vehicles, automatic grenade launchers and heavy machine guns on the defenders of the village of Pisky. "The invaders shelled grenade launchers of various systems and heavy machine guns on the defenders of the town of Avdiyivka, Butivka coal mine and the village of Zaitseve, as well as small arms on the Ukrainian positions near the village of Nevelske. Moreover, enemy snipers were working near Butivka coal mine," the press center said. In the Luhansk sector, the Russian-backed mercenaries fired automatic grenade launchers and 120mm and 82mm mortars on the Ukrainian fortified positions near the village of Krymske. In addition, grenade launchers of various systems and small arms were used to attack the Ukrainian positions near the villages of Stanytsia Luhanska and Zhovte. "The ATO forces fired back from small arms to deter the enemy's firing activity near Zhovte," the report reads.